The history of the Church of Our Lord Jesus Christ is a grand and glorious one. A chronicle that can take its position in the annual of time. To speak of the Church of Our Lord Jesus Christ as an organization is to speak of it illustrious and dynamic founder, the late apostle, Bishop Robert C. Lawson, D.D., LL.D.We can safely say that God made choice of this dedicated man to work his divinely inspired plan for this great organization. 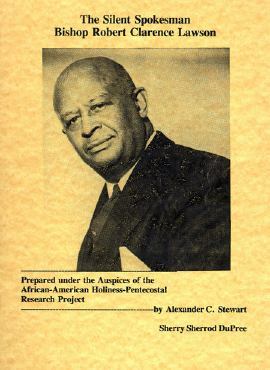 For it was by his herculean effort and prolific preaching and the mastery of the inspired scripture that Bishop Lawson with tenacity and determination hewed from the villages, cities, towns and hamlets the dynamic organization known as the Church of Our Lord Jesus Christ of the Apostolic Faith Inc. It was in the year of 1914 when Mr. Lawson accepted the word of God and was baptized in the name of Jesus and received the Holy Ghost. A supernatural event took place in his life namely the miraculous healing of his body from consumption. This occurrence was stamped indelibly upon him and played a major part in the shaping of his inspired faith healing ministry. By his own testimony we learned that Bishop Lawson was divinely called by the Lord through a whirlwind, hearing the voice of God saying "Go Preach My Word! I mean you! I mean you! I mean you! Go preach My Word." Starting a small work in St. Louis, Missouri, and a later endeavor in San Antonio, Texas, preaching everywhere the apostolic doctrine, he was led to mid-west where he pastored a church in Columbus Ohio. It was in Columbus Ohio that he married the late Miss Carrie Fields of Levinworth Kansas. The couple was subsequently blessed with four sons. The Church of Our Lord Jesus Christ had its inception in the year 1919. Bishop Lawson, then Elder Lawson was invited to a prayer meeting which was in progress in a basement in the 40th Street area if New York City. So energetic was his service to the Lord that his fame spread abroad and reached the ears of Mr. and Mrs. James Burleigh and Mr. and Mrs. Edward Anderson. These two blessed couples opened their homes to Elder Lawson and their home today is affectionately thought of as the "Cradle of the Church of Our Lord Jesus Christ". Within a short period of time, the congregation outgrew its place of worship, having approximately 200 members, and larger quarters had to be sought. Bishop Lawson purchased the sight at 52-54-56 West 133 Street and relocated his thriving church. It was there that his vision was enlarged and the Lord laid upon his heart to conduct a tent revival and great numbers were added to the church. Under the thriving ministry of Apostle Lawson, many preachers, missionaries, and teachers were sent into the field establishing numerous works. To the far flung isles of the sea, to the continent of Africa and to the Caribbean these Christians heralds went carrying the Apostolic message. It was in the year of 1932 that Bishop Lawson initiated the radio broadcast over the stations WGBS. He broadcasted successfully over WHOM and WINS. The broadcast is presently continuing over station WBNX every Sunday evening from 8:30 to 9:30 p.m.
As the work grew the quarters on 133rd Street were found to be inadequate for so rapidly an increasing congregation. Bishop Lawson found the present site on 124th Street and 7th Avenue and in August 1945, the congregation relocated at this site. This building is known as the "Mother Church" of the Churches of Our Lord Jesus Christ. In two short years the indebtedness of the church was lifted and on Christmas day, 1947 the mortgage was burned. The years following were outstanding in rapid growth and spiritual progress. The church of Christ Bible Institute flourished, the R.C. Lawson Institute in Southern Pine, North Carolina already established, continued to grow. Through the arduous labor of in various parts of Liberia, West Africa, British West Indies, England and the Isles of the sea. So vast was the work until more workers had to sent to Superintend the vast harvest of souls. During 1948, Mother Carrie Lawson known as the "Praying Mother of the Air" departed this life. Mother Carrie Lawson's passing is noteworthy because it was through her intercessory prayer that many souls were delivered for the powers of darkness. Bishop Lawson in his lifetime was awarded many honors for his contributions as humanitarian and for his scholastic achievements. Among the honors he received the Carver Merit Award for outstanding service to his race and country. 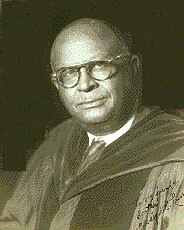 He also held a Bachelor of Theology degree, a Doctor of Divinity degree and a Doctor of Literary Letters Degree for the Lynchburg Seminary and College and the American Bible College. Every organization must suffer the pangs of growth and the Church of Our Lord Jesus Christ was no exception. In the year 1957 there was a major schism within the ranks of our organization. This occasioned Bishop Lawson's calling together the now famous Summit meeting which was the rallying and turning point of our organization. It was in the closing session that Bishop Lawson preached a soul stirring message recounting the work that he had done and hurled the challenge to all who would receive it. "ADD THOU TO IT". The Challenge was accepted. From that moment on the organization began to grow to new greatness. The clarion call for our illustrious leader came on Sunday July 2, 1961, and Bishop Lawson a prince of preachers, the Bible Answer man, God's shining star departed this life. Bishop Lawson's death necessitated new leadership. 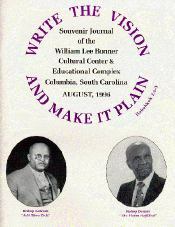 It was to the Convention in August 1961 that Bishop William Lee Bonner introduced proposals. "Twelve recommendation for the common good. "The National Convocation acted upon this and a three man apostle's Board was formed. Bishop Hubert J. Spencer, Bishop William L. Bonner, and Bishop Maurice H. Hutner. Bishop Hubert J. Spencer was unanimously elected to preside. A year later the Board expanded to five Apostles and Bishop John W. Pernell and Bishop Henry Jones were included. Subsequent to the demise of Apostle Maurice Hutner, Bishop J.P. Steadman was elected to the Apostle's Board. In the year 1961, Bishop Bonner was sent to the mother church. Upon coming and seeing the need he set about the remodeling of Refuge Temple. The mother church and headquarters of the Church of Our Lord Jesus Christ is now known as the Greater Refuge Temple. This ultra-modern edifice has changed the face of 7th Avenue and is undisputedly one on the most modern structures in Harlem, with a total seating capacity of three thousand seats with thirty-six conference and meeting rooms, all fully furnished in modern decor. The words of or famed pioneer and Apostle are still resounding in our ears. "Add Thou To It!!! Add Thou To It!!! and the answer comes from the church of Our Lord Jesus Christ, we will, we shall, we have."